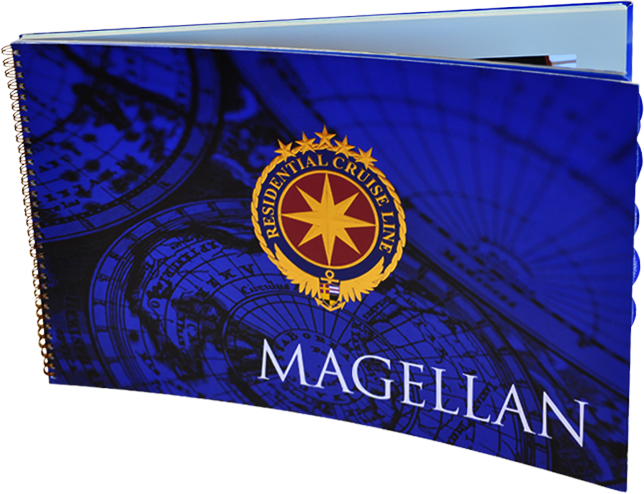 Residential Cruise Line needed help promoting their new concept development – the Magellan – a majestic residential ship scheduled to travel around the world every two years. We created sales collateral material and deployed a multimedia campaign targeting the affluent, luxury consumer. 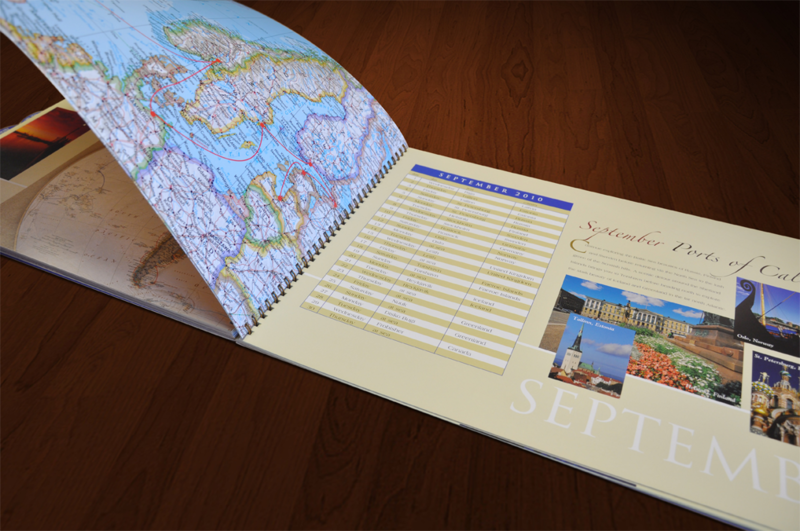 We developed a coffee table book featuring the ship’s world-class amenities, floor plans and travel itineraries. 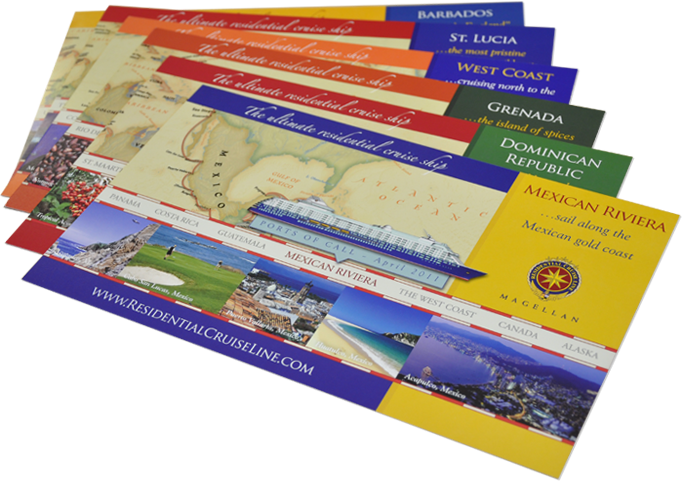 With a projected itinerary of 150 countries and 300 ports of call, we designed more than 60 color-coded sections highlighting each destination with hand-picked photography to portray their unique culture and charm. 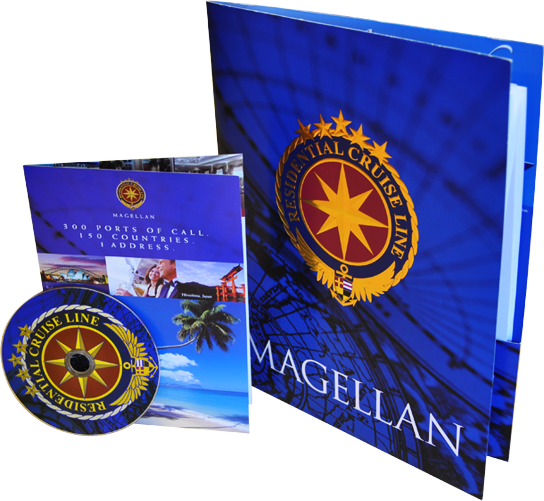 We created a custom folder with sales sheets and CD, featuring the ship’s luxury residences and amenities, prices and purchasing information. 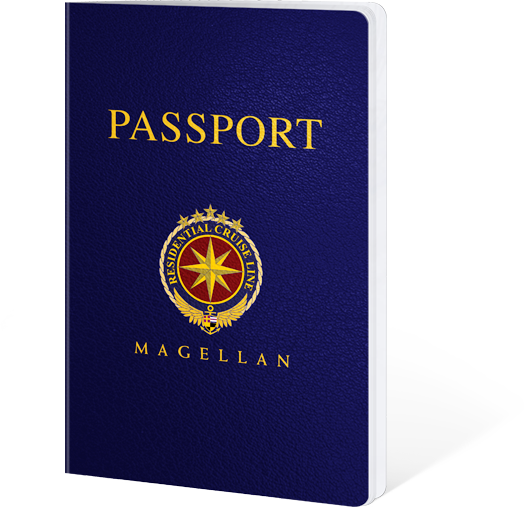 To promote the exclusive Platinum Program – a program available only to full owners of residences on the ship’s upper two decks – we designed an informational booklet in the shape of a travel passport. 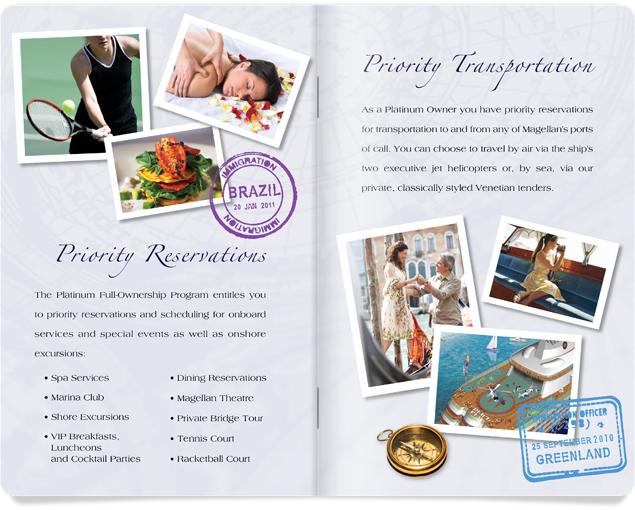 It detailed all of the program’s exclusive perks and privileges. To reach a selected group of luxury brand consumers, we developed a national print campaign that ran in luxury magazines such as Condé Nast, Executive Traveler, Golf, Trump, Cigar Aficionado, Abercrombie & Kent, Estates West and Luxury SpaFinder; and newspapers such as The Wall Street Journal, The New York Times, and USA Today. 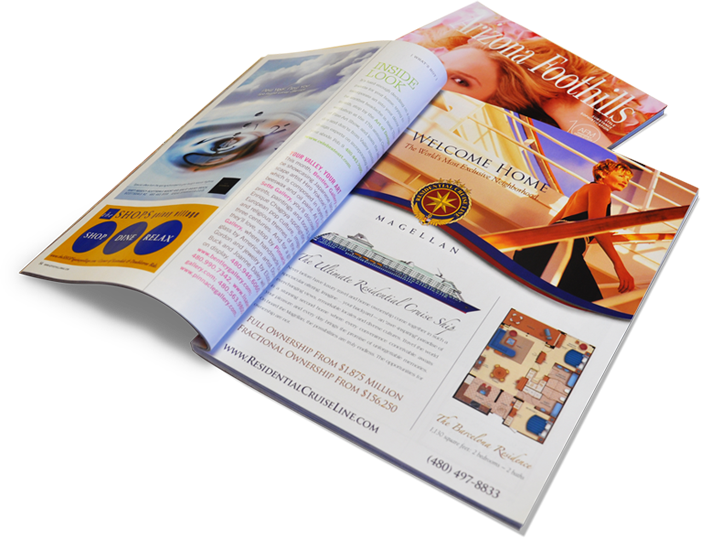 We developed a weekly direct mail campaign featuring the ships’ itinerary for each particular week. We targeted demographics with appropriate income and a known predisposition for travel and luxury living. 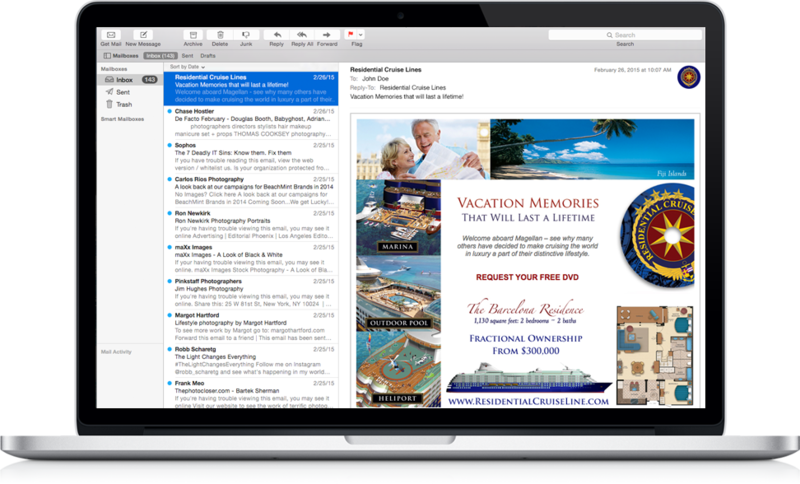 In conjunction with the postcard campaign, we launched an E-blast campaign, allowing consumers direct access to the company’s website and more detailed information about partial and full ownership options. 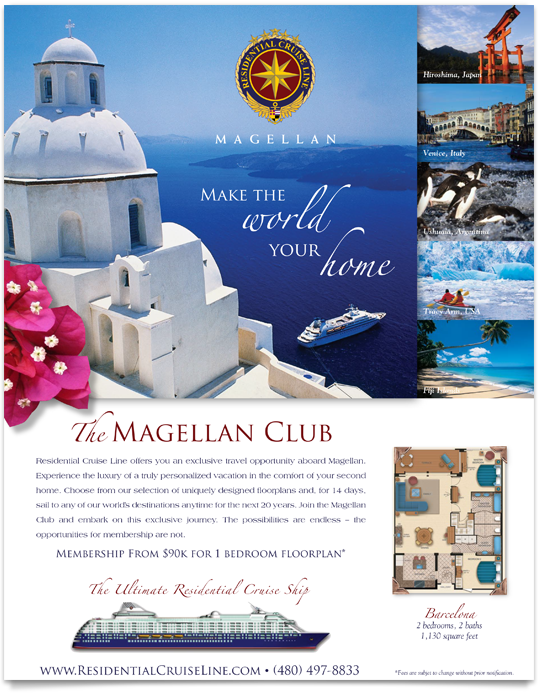 The Magellan Club offered partial ownership options through a membership program. 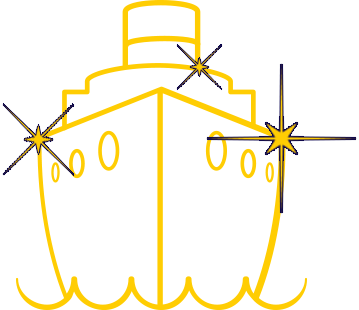 We developed a campaign featuring ads, an informational brochure, and E-blasts to promote the program. The result was a bold, luxury brand that set the bar for this anticipated ship that counted NASA astronaut, Buzz Aldrin, as one of its future residents.